Being vegan and going away can sometimes be a complete pain in the rear end. Other times it can be a real joy. Well, this time that I am away is one of those really joyous times as I am in an area that embraces veganism with a vengeance. I'm staying with family in Northern California. Not only am I enjoying my family, the beautiful countryside with the stunning redwoods, but I'm embracing the shopping and the super variety of choice I have with food. As an example: Where I live, the supermarket offers alternative milk in the form of soy, almond or rice. It takes up about two sections of the shelving which is not even quarter of the aisle and that's about it. 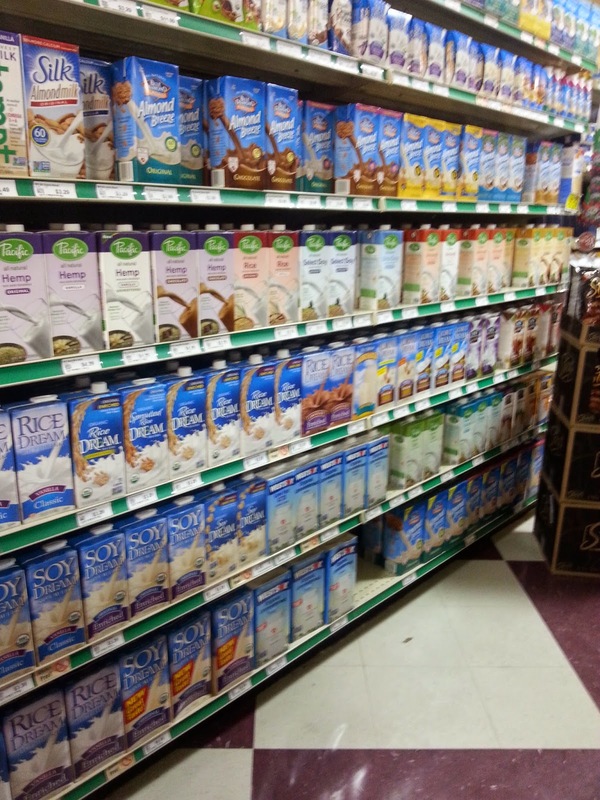 Imagine my delight at seeing almost half the aisle dedicated to alternative milks!!!! From soy to almond, from coconut to hemp and rice. Sweetened and unsweetened, flavored and plain. Then, in another area there is ice-cream. Vegan ice-cream, vanilla, coconut, chocolate, peppermint, caramel and even chai … and these the just the ones I've tried! 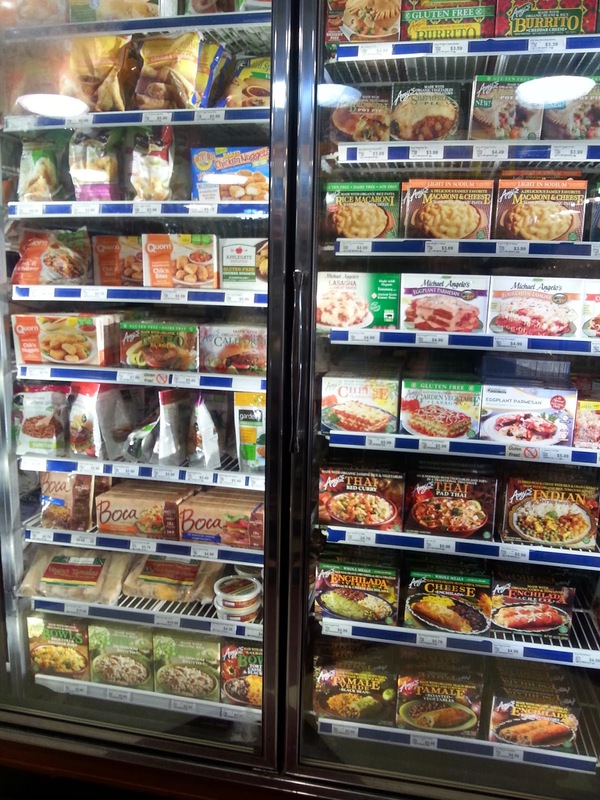 Of course I do have to mention the cabinets of "ready made" meals, fake meats and fake chicken in a wide variety of styles and flavours....not all are vegan, but there certainly is a huge variety. 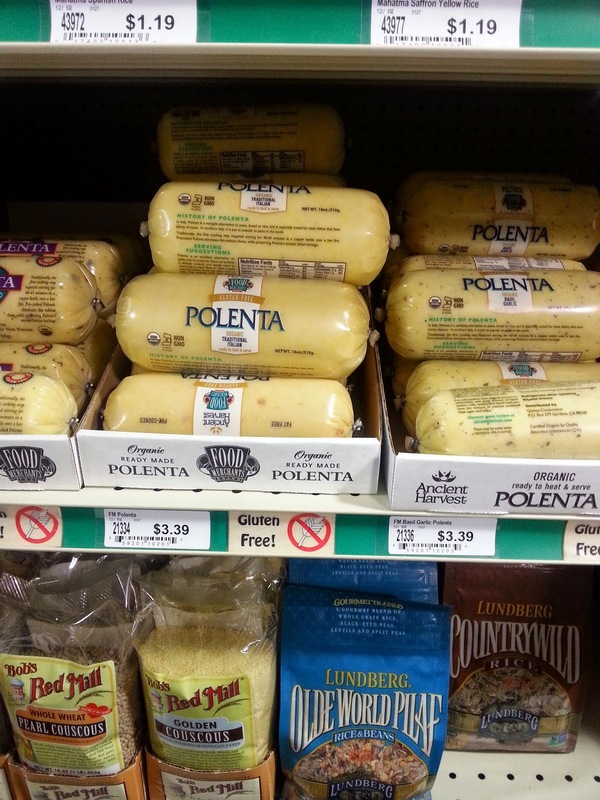 My home supermarket offers one vegan brand and one vegetarian brand ... the products are on three shelves, certainly not two plus cabinets! Oh yes, I'm in Vegan heaven.